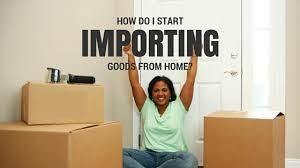 The mini importation business is one easy way out of your financial troubles. It’s a very lucrative way to make money in Nigeria as an undergraduate irrespective of the institution you find yourself. In this tutorial I'm writing especially for students, I'll reveal how I, ASINGBA SAMUEL, a Student of NDU makes some good cash importing and selling goods on campus for profits. And also a TESTIMONIAL from one of my students who took the 5K Importation course and turned his 0 account balance to over 200K monthly using the OPM (Other people's money) strategy. The basic idea is to import goods that students are known to love really much and it does not matter if you are male or female, there will always be something to sell and people really eager to buy. You can import the below items we'll list and they will thrive well in any Nigerian campus. I'm a student of Niger Delta University and the under listed fetches me cool cash (I earn good cash with these commodities) so do well to try it out on your campus. Phone pouch and cases with USB cords. Sincerely speaking, the prospects are limitless and the good thing is that you pay very cheaply to buy this items and you sell them expensively here. There are more things to import, Just think outside of the box. Most times, you gain can be up to 500%, that is how lucrative the mini importation business can be. See a testimony from a student who makes 200K monthly. IF YOU REALLY WANT TO TRY OUT THIS BUSINESS MODEL THEN CLICK HERE FOR MORE INFO. Do well to drop comments where necessary, Your success is my Priority.